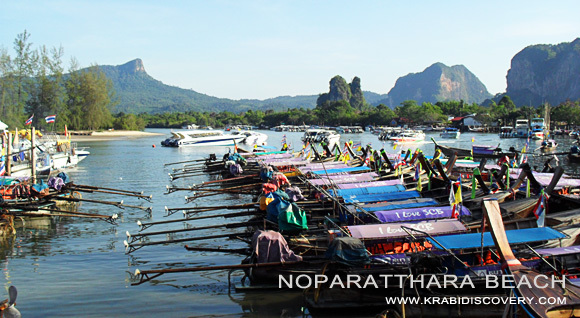 Locals refer to Nopparat Thara as “Klong Heng” (dry canal) because of its appearance at low tide. Then it is interesting to walk to the nearby islands without needing a boat. 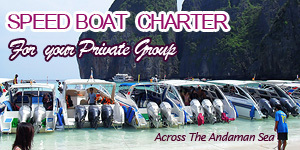 is just North up the coast from Ao Nang, 19 km from Krabi town. It is also the longest beach in the area, 3 km long. The National Park headquarters are situated at the northern end of the beach, close to a tributary of water flowing from the mountain in the North. 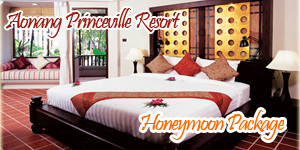 The office’s facilities include tourist information, bungalow accommodation and a camp site.